Heather Bosch is a news anchor, reporter and journalist. Her award-winning story telling abilities and unflinching presentation skills make her an outstanding asset to any news organization. Since joining CBS News as an anchor/reporter in 2011, Bosch has been on the frontlines of big stories, including the Boston Marathon bombings and following murder trial; the Sandy Hook Elementary School shootings in Newtown, Connecticut; Joplin, Missouri’s deadly tornado disaster and the east coast blizzard of 2016. 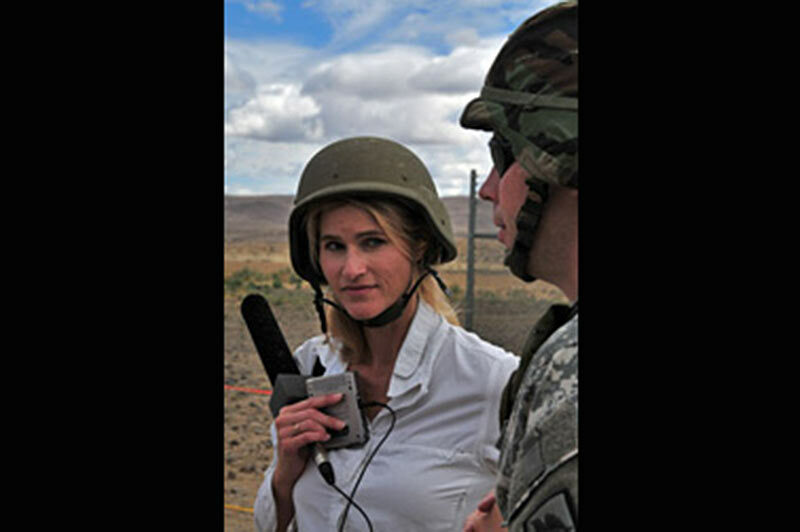 Her reports marking the 10th anniversary of the terror attack on 9/11 earned Bosch a national Edward R. Murrow Award for Best Audio News Series. Bosch’s coverage of the military has been extensive throughout her career and she was honored in 2013 with a National Headliner Award, First Place News Series for her stories, “Women Warriors.” The series also earned a Gracie Award, which acknowledges efforts that celebrate and honor programming created for women, by women, and about women. Cool under pressure. Bosch steadfastly anchors breaking news, jumping in front of a microphone and camera with little warning, to clearly convey details as they unfold during unscripted coverage. Commanding, scrupulous ethics, with confidence and respect -- Bosch is a sponge for new information and a master multitasker. Equally comfortable in a gown, walking on the red carpet, and on a military training field in Kevlar, Bosch employs great instincts as an interviewer, following leads and asking questions that are fueled by what’s being said and by what’s happening around her. Before joining CBS News, Bosch spent more than a decade at CBS affiliate KIRO Radio in Seattle. During that time, she traveled to Sri Lanka, where she filed stories on the recovery efforts in tsunami ravaged countries. Bosch grabbed the network's attention with her compelling story-telling abilities and quick-coverage instincts, which shined during a live report - from under her desk at KIRO Radio - during the 2001 earthquake that rattled Seattle. Later she was tapped for a shared role with CBS News and KIRO to cover the Vancouver, BC Winter Olympics. While at KIRO, Bosch earned more than 15 national and regional awards for her work. Prior to her time in Seattle, Bosch worked in radio and television newsrooms across the globe, from Spokane, Washington, to Great Britain, where she also earned post-graduate diploma in broadcast journalism from the Centre for Journalism Studies - University College Cardiff. Heather Bosch is a 6-time national Edward R. Murrow award-winning, digital journalist based out of Seattle. Take a look at her other honors here. She’s married with two young adult sons, who she writes about in her blog, “Heather Bosch’s Man Cave.” Currently Bosch is a news anchor for KIRO Radio in Seattle and regularlly contributes to CBS News. Heather Bosch arrives at the 2013 Gracie Awards, where she won Outstanding Series for her reporting on "Women Warriors." Heather Bosch arrives at the 2014 Gracie Awards, where she won Outstanding Soft News Feature for her reporting on "Autism on Broadway."